I was recently informed that one of our Emeritus Fellows, Dr. Claude L. Pennington, Jr. passed away on July 27, 2013 at home in Macon, Georgia at the age of 85 years. Inducted as an Active Fellow in 1972 and elevated to Emeritus status in 1992, Dr. Pennington was a member of the Association for more than 40 years. Born on November 20, 1927 in Macon, Georgia, Dr. Pennington was the son of Dr. & Mrs. Claude L. (Evelyn Adams) Pennington Sr. During his early childhood, Dr. Pennington developed an interest in medicine from his family where his father was an Eye, Ear, Nose and Throat surgeon and a maternal uncle, Dr. J. Fred Adams, and five of his first cousins were all physicians. Educated in the public school system of Bibb County, he accomplished much, including the status of an Eagle Scout at age thirteen. At age fifteen, he attended and graduated from Darlington School in Rome, Georgia. Dr. Pennington continued his education in pre-medicine at Mercer University and graduated from the Medical College of Georgia in 1949 at the age of twenty-one. Following an internship at The Macon Hospital (now the Medical Center of Central Georgia) and a residency in internal medicine at the University Hospital in Augusta, Georgia, he served two years as a Captain in the U.S. Air Force Medical Corp during the Korean War. He then trained in Otolaryngology at The Columbia Presbyterian Medical Center in New York City from 1953 -1956 and did additional post graduate training at Lempert Institute of Otology in New York City. He was the first physician of The ENT Medical Group, currently known as The ENT Center of Central Georgia having begun his practice of Otolaryngology in 1956. Recognized as having pioneered some of the first microsurgery for reconstruction of the middle ear in the Southeast, Dr. Pennington wrote extensively on surgical techniques in his field throughout his years of active practice. In 1963, he founded a nonprofit community agency to provide speech and hearing services for the severely handicapped children and adults in the Middle Georgia community. As an active medical staff member at the Medical Center of Central Georgia, Dr. Pennington also served as Chief of the Otolaryngology service, Chairman of the Surgical Section of the Medical Staff, and as a member of the Medical Center of Central Georgia Medical Staff Executive Committee. In 1989, he was elected Chief of Staff at the Medical Center of Central Georgia. For 15 years, he taught medical students from the Medical College of Georgia and later at Mercer University Medical School. He also taught interns and surgical residents at the Medical Center of Central Georgia for thirty-one years. He was appointed the first professor of Otolaryngology for Mercer University Medical School and upon his retirement in 1990, he was named an Emeritus Professor. Dr. Pennington was active in state and national professional associations where he served as the President of the Georgia Society of Ophthalmology and Otolaryngology in 1967, Past President of The American Council of Otolaryngology 1972-1974 and was named a Past President of The American Academy of Otolaryngology in 1982 when the two groups merged.  In addition to his membership in the ALA, he also fellowship in the Triological Society and the American Otological Society. He is survived by his loving wife of thirty-seven years, Kay Ricks Pennington, son, Claude Lee Pennington III, both of Macon, a daughter, Evelyn P. Olsen and two grandchildren, Michael and Dana Olsen of Atlanta. A memorial service was held on July 30, 2013 in Macon, Georgia. A message of condolences may be sent to his wife at: Mrs. Kay Pennington, P O Box 1916, Macon, GA 31202-1916.